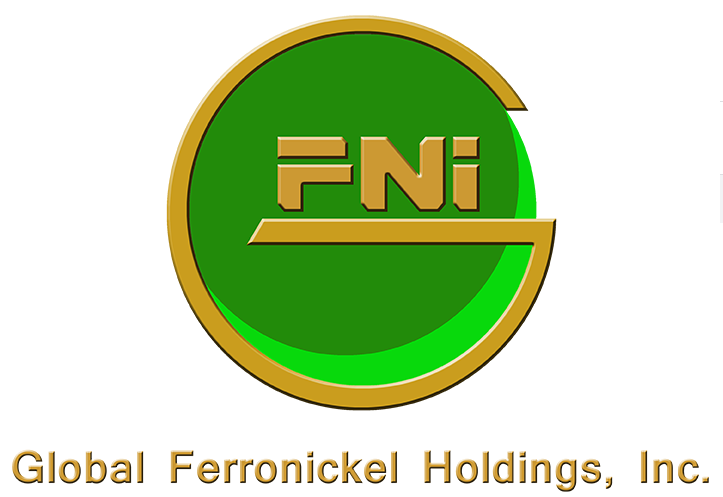 Nickel producer Global Ferronickel Holdings, Inc. (PSE: FNI) is planning to raise Php517.5 million this week by selling 250 million new shares at Php2.07 per share via a follow-on offering. A follow-on offering (FOO) happens when a listed company issues new shares to the investing public, similar to an Initial Public Offering (IPO) to raise capital for various purposes. The offering, which will run from July 9 to July 13 with tentative listing date on July 20, was earlier planned to raise Php1 billion at Php4 per share but due to weakness in the market, the offer price had to be cut by half to Php2.07 per share. FNI, through its wholly owned subsidiary Platinum Group Metals Corporation (PGMC), is one of the world’s largest suppliers of nickel ore. It is also the country’s third largest nickel ore producer by volume of nickel shipped and second largest by value of shipment. FNI’s offer price of Php2.07 is currently trading at six percent discount to market price of Php2.20 per share. What are the prospects of FNI's share price in the future? Is it safe to buy the follow-on offering price given the current market downtrend? What is the growth outlook of the company? FNI sells nickel ore at a price based on market demand. The nickel prices in the global market reflect the prevailing strength of the demand. If demand for nickel is strong due to rise in demand for stainless steel, nickel prices normally go up but in time of economic slowdown, prices may fall due to weaker demand. Historically, nickel prices have been volatile in the past 10 years. In 2008, the average nickel price traded at $9.56 per pound, but in 2009, the price declined to $6.67 per pound. Nickel prices rebounded the following two years to $10.36 per pound only to drop to $7.95 per pound in 2012. The fall signaled the start of the downtrend in nickel prices, which went down to $5.30 per pound in 2015 and $4.55 per pound in 2016. Last year, the average nickel price improved a bit to $5.49 per pound but industry forecast for this year points to continued weakness in nickel prices. Although management of FNI tried to minimize the effect of price volatility in the nickel market on revenues by selling lower-grade ore when nickel prices are low and higher-grade ore when prices are high, revenues remain highly vulnerable to price changes. Total revenues of FNI have been falling from Php9 billion in 2014 to Php3.8 billion in 2016 due to weak nickel prices. The fall substantially cut down its net income from Php4.8 billion in 2014 to only Php37.5 million in 2016. Although revenues in 2017 improved by 54 percent to Php5.8 billion, which increased net income to Php779 million, the earnings achieved were still far from its previous levels. For the first three months of this year, FNI reported that it incurred net loss of Php164.7 million, 39 percent higher than what it lost the same period last year at Php118 million. Weaker demand for nickel this year may continue to affect revenue and earnings growth in the medium term. FNI has maintained a healthy current ratio of over 2.0 times, which indicates that the company has sufficient cash and short-term assets to pay off all its current liabilities. The company in effect is in good financial health as shown by its current ratio measure. But a closer look at its current assets shows that the company’s cash reserves of Php886 million comprised only about 24 percent of the total. More than half of its current assets, about Php1.9 billion, belong to advances to related parties, which was made to acquire an affiliated company. The company may find it difficult to pay off its maturing obligations of about Php1.3 billion, which is composed of Php577 million trade payables and Php749 million bank loan considering its limited cash position and slower cash flows from operations. FNI expects to receive about Php480.6 million after deducting fees and expenses from its gross proceeds of Php517.5 million. FNI plans to use to the proceeds to pay part of its $15 million outstanding bank loan from Taiwan Cooperative Bank in Manila by yearend. The proceeds from the follow-on offering will not substantially improve the company’s ability to generate more earnings as bulk of the funds will be used to pay outstanding debt. FNI’s average return on equity was 12.04 percent in 2017. Because the increase in equity base due to issuance of new shares from the follow-on offering will not result to additional earnings, return on equity may significantly fall this year. FNI’s share price started to fall in 2014 after it peaked at an all-time high of Php12.60. The stock lost by 53 percent during that year to Php5.82 before recovering to Php11.04 at beginning of 2015. From there on, the stock fell again and lost 87.5 percent to Php1.38 in the next 12 months. The stock has slightly recovered and traded sideways from 2016 to its present share price of Php2.20. The low share price of the stock prompted FNI to launch a buyback program last year but the attempt to improve demand on the stock appeared futile as market price failed to sustain any rally. FNI has so far bought back roughly about eight percent of its outstanding shares at an average buy back cost of Php2.58 per share.